A century after Bloomsday, Louisiana Alba reworks the tale of Achilles and Homer’s Iliad, updating James Joyce’s technique in Ulysses placing its stylistic innovation into a postmodern context. Louisiana Alba sets out to enface a portrait of the artist as a postmodern. 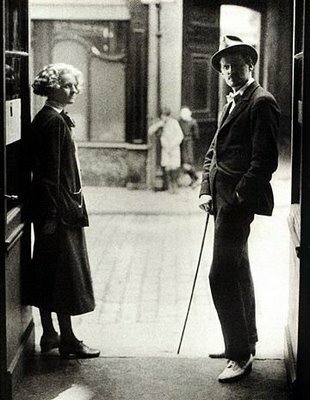 While Joyce engineered his almost total self-effacement and reader spatialization in one day of the life of Dublin in 1904, Alba cites and parodies his way inside story to a self-portrait, setting himself and the reader in multiple places and contexts, redefining the mock heroics (and heroics) of writing of the twentieth and twenty first centuries. Alba lands story and style in places readers will be familiar and unfamiliar with – London, New York, Barcelona, Aigues-Mortes and Hackney – not attempting to lose the myth of his authorial self in detail as Joyce set out to do. Instead, joining in the tradition of Roy Lichtenstein and Andy Warhol he forges and builds new meaning for the styles of others, mining irony, paradox and contexualism, siting readers in the floating consciousness of the postmodern artist. Uncorrected Proof contradicts the postmodern idea of story as redundant and irrelevant. In Alba’s deconstruction of style he doesn’t set out to affirm story as the only truth a reader can believe in, but unlike Joyce he doesn’t seek to negate it either. Joyce followed the travels and trials of Ulysses almost to the laborious realtime and mythical letter, but Uncorrected Proof goes further than myth, putting down roots into a recreation of the part of the Iliad that seems never to have been “written” – Homer’s prequel to the Iliad, the conditions for Helen’s flight: her first kidnap by the northern Greek king Leonidas; the breakdown of her marriage to Menelaus; the early interaction of Achilles with Helen; her first meeting with Paris; the hidden role of Agamemnon throughout. Implicitly Lousiana Alba asks if the novel, if not all literary forms, in truth are not only part of a seamless continuity of technique and content, part of something we can never truly know. Alba creates his own authorial face in an open challenging of style with style, celebrating and excoriating each in equal measure. Uncorrected Proof does not end with closing of the cover but traces out into the vast complex universe of literary history in search of itself. Using the Google map here on site let us know where this is for you. Send us a note from wherever you are if you know the answer to whoever Alba thinks he is. In the end will we know the truth of his tale, protagonist or this author better because of the efforts laid out in the pages of this novel? Does it matter that we do? If you know the answers to any of these questions we want to know who you are. This entry was posted on April 21, 2008 at 12:54 pm and is filed under Blogroll, Books, Fiction, Novel, Publishing, Reading, Uncorrected Proof, wordpress.com, wordpress.org, Writing. You can follow any responses to this entry through the RSS 2.0 feed. You can leave a response, or trackback from your own site.